GilSonic AutoSiever Sonic Sifter - Gilson Co.
GA-6 GilSonic AutoSiever Sonic Sifter offers the most precise and dependable separations for particle sizing of fine granular materials and dry powders ranging from No. 20 (850µm) to 5µm. Testing profiles are fully customizable for consistent, repeatable values for even the most difficult materials. All models are designed and manufactured in the U.S. to meet CE requirements. 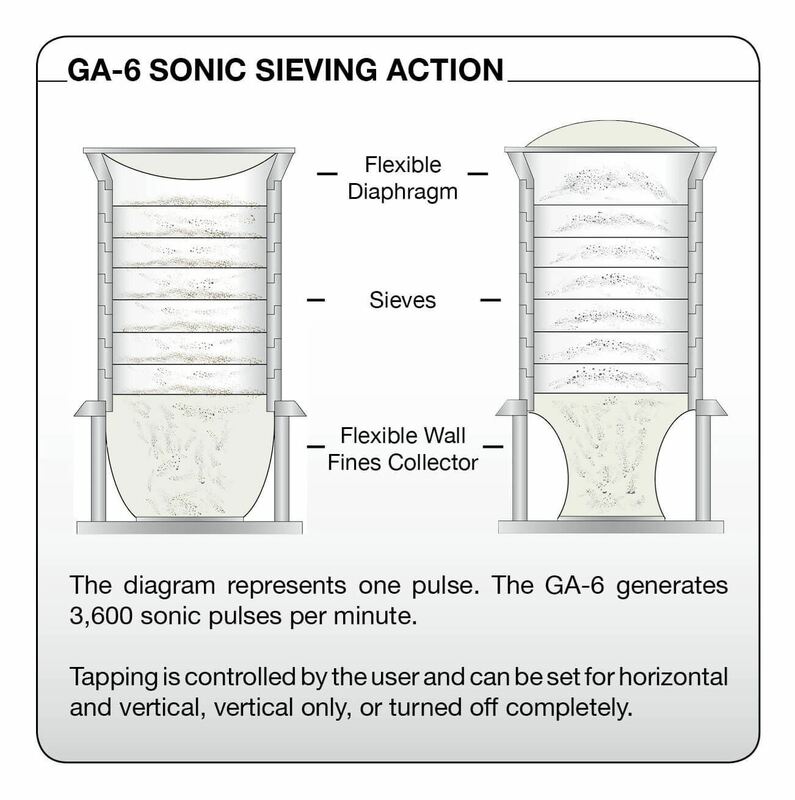 3,600 sonic energy pulses per minute are generated by the audio energy source to oscillate the air column enclosed within the sieve stack. This agitation excites and continuously reorients particles to the mesh surface. Tapping is programmed into each unit to clear the sieves and prevent lumps from forming in the materials. This function can be programmed for horizontal and vertical, vertical only, or turned off completely. Test times may vary depending on material type and particle size. Five minutes is typical, but some samples may be complete in as little as thirty seconds. Controls for intensity, ramp and dwell, and total test time assure fully customizable profiles. Up to ten profiles can be saved in non-volatile memory, assuring repeatability for similar materials. Operating time can be set for up to 99.9 minutes. Sieving intensity (amplitude) is selected with a proportional power controller. Ramping function automatically increases power at a programmed rate for optimum separation of difficult materials. 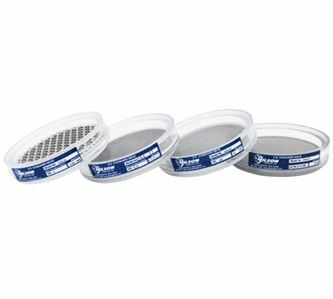 The AutoSiever holds seven 3in woven-wire ASTM E-11 Acrylic Frame Test Sieves or three 3in ASTM E161 Precision-Electroformed Nickel Mesh Sieves in the fixed height stack assembly. Fines are collected in a flexible latex collector. A latex diaphragm on top of the sieve stack seals air columns during testing. 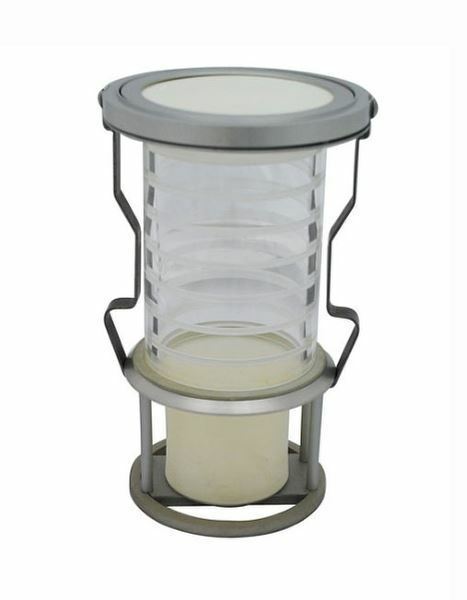 The complete sieve stack is secured with a column lock, inserted into the backlit testing chamber and quickly secured in place for testing. The cabinet is a powder coated steel with a sliding acrylic door.